Running a restaurant includes considering a myriad of factors. You need to hire and manage a team, you need to make them work together, you need to maintain the taste of the food you offer, you need to make your guests happy, and all the while; you also need to ensure that you’re in line with the trends of F&B businesses to keep up with the competition. And as you plan on deciding your daily requirements, be it inventory and stocks management or maintaining the finance or something else, what matters most is the guest experience you provide at your outlet. The first step towards offering superlative guest experience is to get your operations streamlined in such a way that it requires your minimal efforts and supervision. Technology in this predicament is a definite solution. Technology cannot work per se. You have to select right technology and make it work for you. Whether you manage a single outlet or chain of restaurants, a POS software with the right technology will take your business to the next level. Evidently, you wouldn’t want to implement a software which is not keeping up with your needs. Therein, contemplating on various aspects of right technology for the software you use, here we’ve listed down few parameters to help you identify if your POS is outdated and needs to be changed. An ideal restaurant POS system lets you clearly manage your sales data with strong and reliable stats on daily revenue, summary et al. Simply said, if you’re not getting any of these in your restaurant POS, it’s a clear sign that you need to replace your current POS. Still stuck with the traditional loyalty programs? Now you’re in need to apply for a restructured loyalty program at your restaurant and your POS system is unable to handle your loyalty program. You want to integrate with a guest feedback system or a payment gateway, but you find yourself helpless because your POS is not capable of holding that integration. Regular maintenance of technology is a must. But doing that for your current POS system is a cumbersome task, eating up your money and time. Your guests are in line waiting for their turn for payment and all of a sudden, the system crashes; and this happens repeatedly. So, it gets expensive to maintain with frequently encountered bugs, hardware defects or technical faults; thus adding up to your cost. Often times, you get stuck at an operation or the system stops working. And with a lot of expectations, you call up your POS system vendor only to find a dead end. Inactive and delayed support is one of the few factors pointing towards an outdated POS. The interface of the system is not user-friendly and its not making your operations easier. Instead, you’ve been compromising a lot on its efficiency, making it an outdated POS system. You’re unable to synchronize your POS system with your restaurant’s performance. In brief, the system doesn’t provide any real-time data on your revenue, sales and even expenses to help you get an idea on your ROI. A POS with latest technology will require minimal hardware resources. 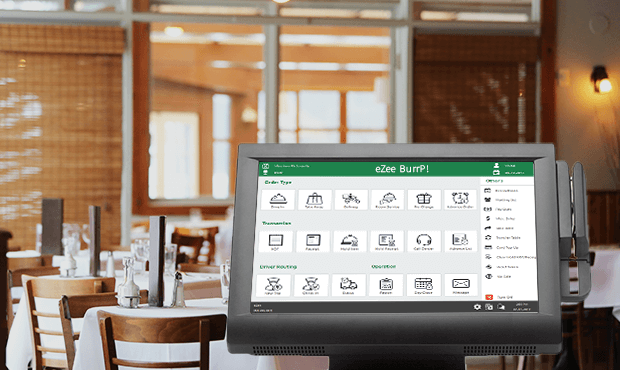 But if you need one system to manage your reservations and a separate one to keep a check on your stock and inventory; or a completely different PC to handle cashiering, then its time for you to change your restaurant management software. Usually, technology is supposed to make our work faster and easier. But if that’s the other way round with the POS system you’re using at your restaurant, and your guests have been waiting for a longer time than usual because of the technology you’re using; its a sign that you’re using an outdated POS. There are a lot many factors which can help you determine whether you’re using an outdated restaurant management system or not. But if ‘yes’ is the answer to at least half of the above-mentioned aspects, then you need to consider changing your POS system. What should you look for in a restaurant POS system? Try looking for a brand new management system for your restaurant and you’ll have everything taken care of. We have an on-premise and even a cloud-based restaurant POS system to handle your day-to-day restaurant operations.